Steven Butala: Today, Jill and I talk about the worst property on the best street. I’ve got several personal stories for this. Jill DeWit: I’m sure you [crosstalk 00:00:18], too. Steven Butala: We’ll explain it, and why I think it’s absolutely imperative, and how it applies to infill lots. Steven Butala: Before we get into it, let’s take a question posted by one of our members on the landinvestors.com online community. It’s free, and as you’re listening to us, please drop your questions into the comments section below. Steven Butala: You had me right up to the last sentence. How is this a stab in the dark? If it was a stab in the dark, you would have just sent mail out to anywhere, you know? This is not a stab in the dark. You’ve done about 80% of the research already. You’ve found out all of this information. You’ve done everything right. So, the question should be that you should be asking, in my opinion, is, is it worth it to give it a shot? Steven Butala: Is it worth it to send mail in a very intelligent and premeditated, pretty much looking into a crystal ball? Because I can tell you what’s gonna happen, and so can Jill. Before I tell you what’s gonna happen, Jill, do you want to comment? Steven Butala: You’re gonna kill it. Steven Butala: You’re gonna kill it in this county, if you price it right. Absolutely kill it. Jill DeWit: I’m totally teasing. You know me, I always have something to say. So, I love it. I love those areas, when there’s not much. Steven Butala: Or a five. Jill DeWit: … I’m gonna kill it. It’s gonna get snatched right up. Jill DeWit: Too bad … I mean, here’s something down the road, too, by the way … If you can even find these big acreages, if you find a good deal with a big acreage property … Huh. There happen to be people in their group that can help you fund it … Hmm. Then you can divide it up into small acres, holy cow, and then really kill it. That would be my game plan. Steven Butala: Some of the home runs that Jill and I have done have been in counties like this, where there’s just no data. Steven Butala: Here’s some of the problems with this. When it’s very rural … It doesn’t seem like it’s too rural. It just seems like there’s not a lot of comparison values. Steven Butala: It’s gonna be a little more expensive. That’s okay. Steven Butala: That’s totally okay. That can work to your advantage. You have to make sure that the county itself has a GIS system, and people work there, and things like that. Believe it or not, there’s some counties that are pretty much borderline dysfunctional about recording deeds, and getting information and locations of property, and things like that. Steven Butala: So, pull some data out of Realquest. I can’t tell by your question if you’re a member or not. My first gut reaction was you’re not, because this question would have been … I mean, it would have been obvious. Steven Butala: In the program itself. Steven Butala: The program would show you how to do this, and tell you that it’s great. Steven Butala: I have to say this before you get into this, because I can’t wait … I personally love these stories, because I know you talk to potential members and existing members a lot. Steven Butala: And I never do. Steven Butala: … like, what people say. You’re on the front lines. Steven Butala: You know? I want to hear what people have to say. Go ahead. Jill DeWit: Well, people are still walking around thinking that there’s a secret county list, and [inaudible 00:04:22] is the stupidest thing on the planet. It’s not a secret county list, and if you’re in that secret county list, well, you’re one of … How many are there in a secret county? That’s the counties that we’re not touching. Congratulations. So, that’s number one. That’s the funniest thing. Steven Butala: There’s no guessing. Jill DeWit: How properties are conveyed. And there’s lots of things that go into it, that make things a good county. What my point is … That’s who we are, and what we’re sharing. It is not like, “Hey, it works over here in Orange County. I know you can do XYZ. Have fun.” No, and then we’re all over in Orange County, tripping on each other. Not that we would be. There’s enough property. But, you know what I’m saying. Jill DeWit: What’s better is, you know … Like this person is asking us. “What’s your mindset?” And that’s really what everybody should be asking, because it’s an excellent question. What’s your mindset? Should I be afraid of this, or not be afraid of it, and why? Jill DeWit: That’s what this whole show is about, too. Jill DeWit: You know, it’s really what you should be thinking about. What’s great is as we’re describing the situations, I don’t know if it’s northern California, or I don’t know if it’s in Louisiana. Steven Butala: You can apply all of it to the same. Jill DeWit: Then, it’s perfect. Steven Butala: Send the mail out. That’s what she said. Steven Butala: And I think so, too. Jill DeWit: Yup. Go for it. Steven Butala: Today’s topic? The worst property on the best street. This is the meat of the show. 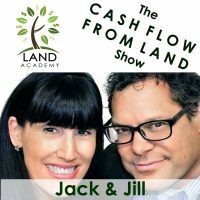 All week this week is true cliches about real estate that we constantly hear, and Jill says she just walks away and laughs. Not laughs, she just doesn’t even hear them anymore. They’re so prevalent. Jill DeWit: Right. But they’re good ones. Steven Butala: I think almost all of them are just some version of price. Steven Butala: And that’s kind of really why I want to look at each one of these cliches, and look at why. So, why would somebody say, “This is the worst property on the best street”? “This is the greatest deal ever. This is the worst property on the best street in the planet.” Yesterday we talked about location, location, location. Whatever’s making it the best street is location, location, location. Steven Butala: Maybe it’s on the ocean. Maybe it’s on the main street in town. You know, maybe it’s out of a Normal Rockwell painting. We don’t know. Steven Butala: For whatever reason, everybody agrees, “Hey, that’s the best street,” and everybody wants to be there. So, do you want the best property? What they really mean is this: The best property on the best street is the most expensive. Jill DeWit: Is the best deal. Steven Butala: … is the least expensive, best deal. Steven Butala: You’re potentially now buying into equity. Well, wait a minute. Isn’t that what we do everyday, anyway? Steven Butala: By sending mail out, buying undervalued property, and buying equity. Steven Butala: You’re buying yourself an equity position in a piece of real estate, by signing your name. Steven Butala: Well, that’s the same thing you do with the worst property on the best street. Jill DeWit: Right. I agree. My thoughts are, if you get the worst property on the best street … Number one, I thought you won. You know what it makes me think of? My parents said this. Can I share this story? Steven Butala: Well, let me one-up you. Steven Butala: It’s the worst property on the best street because it’s falling down. Jill DeWit: Don’t go looking for them, by the way. Jill DeWit: Don’t drive for dollars and look for this. Steven Butala: I can one-up that. Why don’t you buy a piece of dirt on the best street? Jill DeWit: That’s even better. Jill DeWit: That is the worst property on the best street. Steven Butala: But now you’re buying equity in the land, and you’re creating equity for the builder that you’re gonna sell the land to, in an infill lot situation. So, worst property on the best street? Fantastic. Go ahead. I want to hear your story. Jill DeWit: Piece of dirt on the best street, fantastic. Jill DeWit: Yeah. It was in the ’90s. Steven Butala: [crosstalk 00:09:09] downturn. Jill DeWit: Yup, yup. Yup. Anyway, so it was just … And then, systematically, the awful ’70s wallpaper came down. You know? It had a great pool and a jacuzzi. I mean, it really was a great property. I wish I can remember what they bought it for, and then sold it for like three times as much. I’m not kidding. Just by being there four years. It was just the right property. It was Laguna Hills. It was up and coming. Great schools, like we talked about a bit yesterday. It was just … It was awesome. Jill DeWit: Anyway, but I’ve seen it. I lived it. It’s true, the worst property, best street. And I always think of, too … Then, the reverse is bad. That’s true, you know? You never want to have the most expensive house on the block. For me, that’s not bragging rights. I’d feel like I lost. Like, “Shucks, I overpaid. I’m the idiot that overpaid.” And then I’m driving everybody’s value up because of my mistake. I don’t think that’s a good thing, necessarily. Jill DeWit: Do you remember that agent that we met? Steven Butala: Yeah. So, why would anyone do that? Jill DeWit: I don’t understand that. Steven Butala: Because of their ego. Jill DeWit: They walk around bragging. That was it. Steven Butala: Because they don’t feel good about themselves. Steven Butala: And they have to sit around and say, “I have created the most expensive property on the street.” [crosstalk 00:10:42]. Jill DeWit: That’s so not us. Steven Butala: No. It’s 180 degrees. Steven Butala: That’s what I want. Steven Butala: Even worse. Even worse. Steven Butala: Who would buy that house? Steven Butala: Oh my gosh, yes. Worse than the real estate agent. Steven Butala: I’m not a psychologist, and I don’t want to even get into that, but geez. Why would you ever want … That’s insane. Jill DeWit: No. Yeah, you know what? You’re right. That’s not how we are. I don’t walk around trying to buy the best, best, best. Jill DeWit: I want nice. I want a couple years old, somebody else’s, a depreciated before it got to me car. Steven Butala: Going to the best college, that’s a different story. Getting the best education, that’s a different story. Jill DeWit: Great paying job? Steven Butala: Having the best land group, land acquisition and sale investment group on the Internet? Jill DeWit: That’s the best. Steven Butala: Yeah. That’s education-driven, and that matters. But material possessions? Come on. Steven Butala: I just watched a show … Because Jill and I buy a lot of infill lots, and resell them to builders. And I’m trying to … My whole mission in life for the last few months has been getting inside the head of the builder, because those are the guys that, they buy our dirt. Jill DeWit: Actually, on the car ride home. Jill DeWit: Running your bath, almost. Steven Butala: You should see, if you have time, listener … You should, too, Jill. Jill DeWit: I’m happy with our kitchen. Steven Butala: There’s a big screen, and you can look at … If you have a baby, you can see what’s going on with the baby. It tells you exactly what’s in the refrigerator. The refrigerator door closes, and it takes a picture of what’s in there, and puts it automatically on your list. Steven Butala: It’s truly amazing. Jill DeWit: I didn’t know that. That’s scary. Steven Butala: So, that is what’s prompting these out of this world price per square foot houses … Hold on … not the price of the dirt. And up til this point in time, it’s been the price of the land that dictates the … Or the demand. Price/demand. But first it starts with land, and then it’s what people are willing to pay. Steven Butala: So, never more has there been a more true statement than now. Buy the worst piece of property, hopefully land, on the best street. Steven Butala: There’s a huge spread because of all these appliances and stuff, and profit margins. Jill DeWit: Do you see the value? I gotta tell you. You know, in our kitchen … We have two kitchens on our property. The back house has a microwave, and the front house does not, which is the main house. And I’m happy not using a microwave. Jill DeWit: Are we weird? Steven Butala: That kind of priority … I will say this, though. Jill has one of the most advanced technological cars I’ve ever seen in my life. Jill DeWit: Well, there is that. Steven Butala: And you love that. Jill DeWit: This is me, eating my words right now. Steven Butala: I’ve got some stuff in my boat that I’ll never use, that I think is the coolest thing ever. So for us, it’s just not about the house anymore. Steven Butala: But it’s about other stuff. Jill DeWit: Do you know how many times in my life I’ve ate my words? A lot. Steven Butala: I will say this … Yes, it’s a hugely technologically advanced car, that we paid probably 70% of what we should have paid for it. Steven Butala: And the boat, I paid probably 20%. Jill DeWit: Because it’s a boat. Steven Butala: Because that’s how we do this. Steven Butala: Just because it’s better, doesn’t mean you have to pay. Jill DeWit: Exactly. Love it. Steven Butala: Well, you’ve done it again. 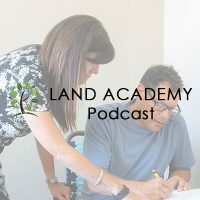 You’ve spent another 15 minutes or so listening to the Land Academy Show. Join us next time, where we discuss million-dollar views. Jill DeWit: And we answer your questions posted on our online community, landinvestors.com. It’s free. Steven Butala: You are not alone in your real estate ambition. Million-dollar views. Steven Butala: I will never, ever hear that phrase again, for the rest of my life, and not think of that piece of dirt we passed on in Santa Barbara. Jill DeWit: Aw. I forgot about that. I was thinking of that show. What was that show with Leach? What’s his name? Something Leach? Robin Leach, million-dollar … You don’t remember that show? Steven Butala: How to Be a Millionaire, or something like that? Jill DeWit: … what it … I’ll have to look that up. Yeah. I used to watch that show, back in the day. Steven Butala: I do remember that. He’s a British guy, right? Steven Butala: He’s an old British guy, right? Steven Butala: … drug dealer houses. Yeah. Jill DeWit: Oh, okay. I’m like, where are you going with that? He went to drugs. Steven Butala: There was obviously a different culture of high-end houses. Jill DeWit: Oh, he’s showing Kanye West’s house? Steven Butala: Yeah, and there was basketball courts, and stuff that … You know. Jill DeWit: In the master bedroom. Steven Butala: Funny to see him describing this. Like, you know, “God, what goes on in that house?” You know? Steven Butala: He’s all proper British about it. Jill DeWit: He doesn’t touch anything. He’s wearing gloves. Ew. All right. Please be sure to hit the subscribe button to stay up to date on our podcast. Like us and comment on what you’d like to see in future shows, and if you’re listening on iTunes, please rate us there. Steven Butala: We are Steve and Jill. Jill DeWit: We are Steve and Jill. Jill DeWit: Oh, yeah. Lifestyles of the Rich and Famous.